Why Do We Have to Die One Day? Paul Knitter- God/Love: the compassionate energy of the interconnecting spirit. We practice 20 minutes of sitting meditation, followed by 10 minutes of walking meditation, and another 20 minutes of sitting meditation. Afterward, we explore some aspect of mindfulness practice in the tradition of Thich Nhat Hanh and often share discussion. A general schedule of Monday night activities is provided below. We practice 20 minutes of sitting meditation, followed by 10 minutes of walking meditation, and another 20 minutes of sitting meditation. We observe noble silence upon entering, while practicing, and while leaving the meditation space. No other practice or discussion following meditation. Please feel free to come for either or both parts of evening practice. It's okay to arrive late if you need to (just come in quietly and sit down), or to leave early. At Honey Locust Sangha, we are fairly relaxed and informal; we have some meditation cushions and chairs to sit on. If you haven't meditated before, let us know and we will talk about meditation before we sit. In this tradition we practice meditation in order to enjoy sitting peacefully with others. The emphasis is on sitting in a way that is comfortable, pleasant and enjoyable, rather than on achieving a special state of mind. Open Night ~ Regular meditation followed by a reading from Thich Nhat Hanh's literature and a discussion sharing our Honey Locust Sangha's experience and wisdom. Open Sharing Night ~ Celebrating all traditions; we share music, poetry, prayers, and personal practice stories that have touched our hearts. Dharma Sharing ~ Regular meditation followed by a Dharma Sharing from one of our Honey Locust Sangha members. Recitation of The Five Mindfulness Trainings ~ We recite and share our experiences with The Five Mindfulness Trainings. One month each season (January, April, July, October), we depart from our usual practice schedule and follow our meditation with a video Dharma talk given by Thich Nhat Hanh. 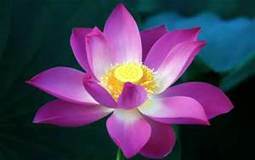 The Honey Locust Sangha / Omaha Community of Mindful Living is a 501(c)(3) non-profit organization. All funds donated help to fulfill the mission of practicing and raising awareness of the mindfulness practice in the Thich Nhat Hanh / Plum Village tradition.